Sold out for this season. 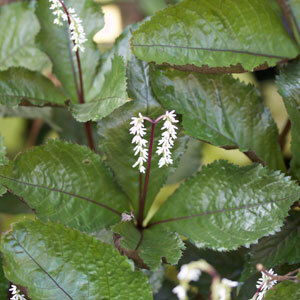 Scented white flowers in arching fluffy heads over black foliage over a long period Apr-Jun the foliage then goes green, 55cm. Leafy shade. Really cool foliage on this shade dweller.